For years the picture sharing app has enjoyed unchallenged supremacy over the world of social media marketing. Yet in recent weeks we have seen the sensational rise of a contender that could mark a turning point in the Instagram’s ascendency. The rival app, Vero, has actually been live for some time (launching in 2015) but has been limited to a comparatively small usership of 150,000. However, as of the beginning of March, the app has enjoyed a radical change in fortunes, with its membership leaping up to three million in under a week and topping US App Store charts in the process. I know what you are thinking, we have seen Instagram competitors come and go in the past, yet none of them have enjoyed a popularity shift on this level. Consequently, it would be remiss of us not to take a closer look at the challenge this ‘new kid on the block’ poses. The obvious place to begin this investigation is to find out why, after three years of obscurity, Vero has suddenly come to the fore; the answer, of course, lies with Instagram themselves. The social media giant has recently introduced a controversial new set of algorithms that dictate the way that people’s posts are ordered and viewed. The algorithms are designed to make posts appear on the most relevant people’s news feeds only, and to order the user’s posts in a rank of popularity over chronology. Though Instagram’s algorithms are famously hard to decode, the most current theory is as follows: the app gauges the interest your post receives amongst the first 10% of people who view it, then only passes it onto the other 90% if the interest breaches a threshold level. Obviously, this has a dramatic impact on the serviceability of Instagram as a social media marketing platform as it can dramatically reduce the extent of your online exposure. 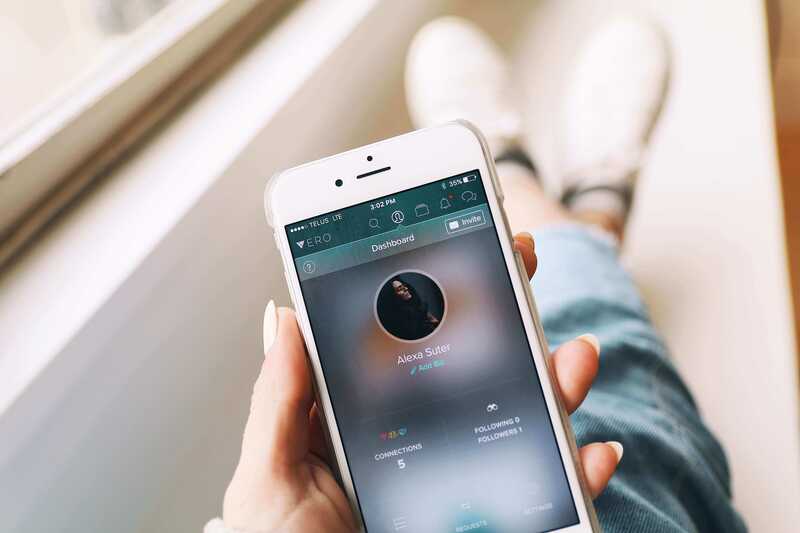 In many ways, Vero has received its current limelight precisely because it is similar to Instagram and therefore a viable alternative. It certainly holds more or less the same basic functions permitting you to share pictures, edit them in the app and follow/be followed. However, it does have some distinctive features as well, for one it allows you close who sees your posts by dividing your followers into close friends, friends, acquaintances and followers. Another key feature allows the user to post books, music and television that they have as well - ideal if you are an influencer looking to build up an online ‘persona’. Lastly (and this is where Vero has really secured its popularity), is the app’s promise never to use adverts or algorithms effectively setting itself up as ‘Instagram in the golden age’ for the discontented diaspora. Algorithms are out. As I touched upon previously, algorithms are the factor that have alienated so many Instagram users. By vowing never to adopt them, Vero is providing its users with a platform that allows them far more control over the way their posts are seen by others, as well as the posts that they themselves can see. Direct sales. This can truly be classed as a feature that makes the app stand out from Instagram. Let me explain, Vero allows you to connect your posts to an in-app purchases portal where your followers can buy your products directly. This is invaluable as social media marketing tool as it can convert marketing to direct sales all on one site. Choose your crowd. The feature allowing you to choose which of your followers can see your posts means that you can effectively run multiple accounts or personas from one account. This is done by separating your followers into different categories (friends, acquaintances etc.) and is also great for privacy reasons. To be succinct, Vero is offering people more control and more privacy at a time when Instagram are beginning to look like sellouts. In the great scheme of things, it seems wishful thinking that any app can challenge the combined might of the Instagram/ Facebook. Yet, even is Vero’s ascendency is short lived there are a few key things to note. Firstly, Vero is ‘hot right now’ and it’s never a bad move to keep your social media marketing up to date with (or even ahead of) changing trends. Furthermore, as the app is receiving so much attention, and currently has a user base that is 95% new sign ups, it certainly offers an almost unique experience to plug your business/ social media persona to a whole new active online community. Finally, it’s worth noting that, even if Vero does reach a premature end, this episode has shown us that Instagram is not infallible if it continues to alienate its users they will happily jump ship as soon as a better alternative comes along. Flora Dallas is a content writer for Fat Lama a UK/ US peer-to-peer rental platform (a kind of Airbnb for stuff!). The platforms aims to provide a cheaper and more environmentally sustainable alternative to buying products outright, whilst at the same time enabling people to make some money by renting out of their underused items.